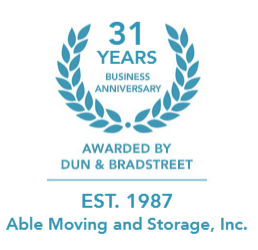 Able Moving and Storage was established in 1987 by Bill, Jim, and Joe Singleton, with a vision of becoming the most customer focused, high value moving company in the Mid-Atlantic. Over the last quarter of a century, Able has earned the reputation of being a fair, ethical, and trusted family owned and operated business. Moving and storage services in the Virginia, Maryland, and Washington DC areas have always been a core part of what we do. 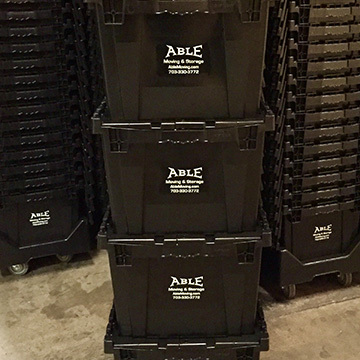 Since the very first move in March of 1987, Able has moved thousands of families and businesses. 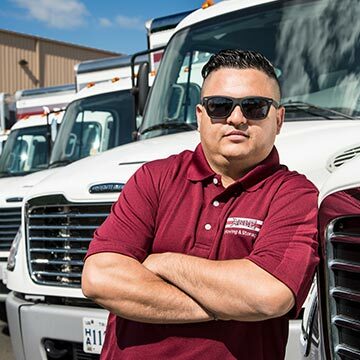 Able Moving’s reputation for consistently delivering excellent service at fair prices has been the driving force behind steady, consistent growth. Able Moving prides itself on being an independent mover. There is a huge difference between independent moving companies and the van lines. Able Moving has always chosen to only utilize full time, professional movers — unlike the van line model, which utilizes drivers to transport shipments and day help to load and unload. Customers that have experienced moves with both a van line and an independent mover know the difference. Day help is not vested in a successful, efficient move — but the trained, professional movers at Able are! Using only our own personnel on all moves costs the company more than using the van line model — but this family is not going to allow outsiders, whom we have not vetted or trained, anywhere near our customer or equipment. Able Moving is proud to employ a large staff of caring, loyal, quality people. The key to success in any service business is the people who actually perform the work. For over 30 years, Able Moving has carefully built an excellent reputation for customer service by focusing on the customer first. Moving can be extremely stressful. Able Moving’s teams have been trained to treat the customer as they would treat their own families; nothing less than satisfied customers will do. The teams understand that they are responsible for the company’s reputation with each and every customer. Once a team is assigned a move, they own the impression left with the customer, so everybody at Able Moving is invested in each move. 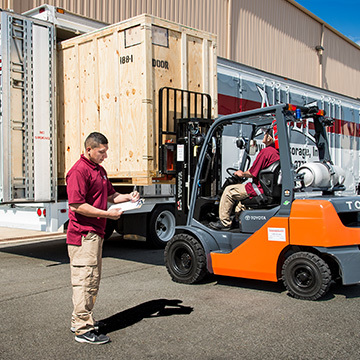 Once a customer hires Able Moving, they can rest assured that we are well aware that the success of the company is measured by their satisfaction. This homeless shelter called, “Alexandria’s Carpenter’s Shelter” renovation and move was all over the press locally as well. The shelter was donated to by some big names to support the transition of over 600 homeless people for a $40M renovation taking place in their shelter in Alexandria. We had 14 truckloads of office furniture and “tenant” beds and rooms to move. The challenge was starting the move after the “tenants” woke up and having everything in set up and in place in time for them to settle back in for the evening. The Able team did an incredible job in a very short time frame. Adding to the excitement was the fact that on the other side of the camera that was taking the picture, was the filming of Wonder Woman 2. Whether you are looking for residential movers, office movers, local or long distance movers, there is no better value than Able Moving and Storage. 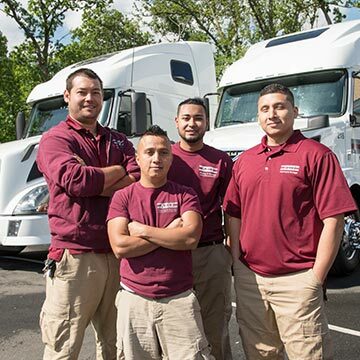 Please ask around about the reputation Able Moving has after more than 30 years servicing this great Nation, or visit our reviews at BBB, Yelp, and Facebook. Able Moving & Storage is recognized as one of the leading moving companies within the moving and storage industries. Long term or short term containerized storage approved by the United States DOD and The Department of State.